Chrisalle has been a member of NABA, Inc. - Detroit Chapter since 2000. Chris was introduced to NABA as student member and was one of the co-founders of the University of Michigan Student Chapter in 1993. 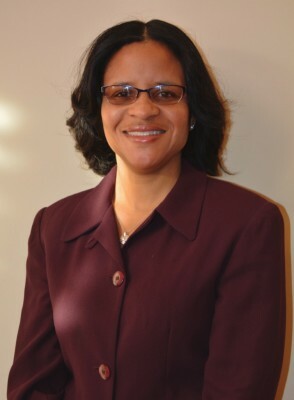 As a Detroit Chapter professional member, she has been previously elected in prior Officer positions including 1st VP, Secretary and recently elected as Treasurer for two consecutive terms. Chris is also active with various committees including ACAP, Website and VITA partnership with Accounting Aid Society. In 2015, Chris became a Lifetime Member of NABA and was previously a member of the Nasvhille Professional Chapter in 1997-98. Chris earned an MBA in CIS from Eastern Michigan University (2003) and BBA in Accounting from University of Michigan Ross Business School (1995). She is presently Controller of the Ford Edge Vehicle Program for Asia Pacific Region in Product Development Finance at Ford Motor Company and has held over seven previous positions at Ford in Accounting Policy, Ford Credit, Manufacturing Finance and Financial Controls, Her experience prior to Ford is over four years experience in public accounting as a Sr. Tax Consultant at Arthur Andersen, LLP and Coopers & Lybrand LLP. In her spare time, Chris enjoys cooking and traveling with family.